California has embarked on a wide-ranging program to catch drivers illegally using disabled parking placards. The effort comes on the heels of an estimate that one in 10 placards in the state is misused, either with drivers parking in ADA-reserved spaces when they’re not driving a person to whom a placard was issued, or by using a placard obtained illegally. They’ve found placards being sold on eBay for about $60. A television news crew recently followed DMV investigators through Oakland on a crackdown, where they talked with people using placards illegally and people with disabilities who voiced frustration at the actions of other drivers. See the video here. 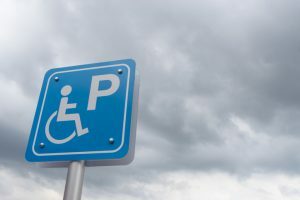 For more information and resources about disabled placard abuse–and to share your own experiences or data–visit accessibleparkingcoalition.org.